So I got waylaid a bit by the awesomeness that is Dallas and the mundane activity known as work. However, it’s time to return to the 10 Crack Commandments. As I mentioned earlier getting a good deal is my crack but sometimes my retailers fail me. Something happened recently. I realized that I am a relic. I really detest buying things online. I am a tactile shopper. I like seeing and feeling an item before purchasing. I cannot tell you the number of gorgeous items that I purchased online that turned out to be ugly or just wrong in person. A bookcase – It sways!! This leads to the next few crack commandments. I read that Nordstrom moved to a new policy where they keep a few items in store to test and then you have to possibly purchase your size, color or other variance online. I guess this is better than nothing. I needed a new iPod. Not a Touch, not a Nano. An iPod Classic. This turned out to be difficult. I wanted iPod immediately as I was going on vacation. No one had any, well any for a good deal. The snarky dude youngster at Apple told me that no one buys iPods and therefore they never have deals. That is precisely why you should have deals. I have been collecting music since Columbia House gave you 14 CDs for a penny. I cannot cram my extensive music collection into an overpriced non-iPhone. Okay, I still don’t understand why Touches exist. Two big boxes had deals. One had 10% off and another gave out a free accessory kit. Neither of them carried it in store. I sucked it up and ordered online. I wasn’t happy about it. But it did arrive in time. Apparently, stores claim to have the availability to ship items to the store. Do you know how often this program actually works properly? Yea, me neither. I heard a person mention success once. When I purchased my previous computer, I was told I could ship to store. That seemed simple. I would order online and pick it up from a special desk in two days. I could pick it up during store hours which is traditionally longer than evil delivery people hours, yet not have to wait in line or track down an annoyed salesperson. This is wonderful. Do you know what happened? Well, I purchased the item from the shelf. Apparently the staff didn’t want to go all the way back to the loading dock to “find” my item. They suggested that they just grab one from the shelf while I wait behind other people waiting to purchase. What happened to my drive up, grab and go? Phooey. My coworker told me a hilarious story where they gave her the wrong item. They realized it after she left and asked if she could bring it right back. She couldn’t and the real purchaser ultimately had to wait. Imagine being that customer. Plus, most of the time Ship to Store is “unavailable” when I select it. My guess: see commandment #3. When I purchased the ugly futon cover, I discovered to return ugly futon cover would cost me $15. Shipping to me, of course, was free. This is why I stick to online retailers with a physical store. I love running crappy items to the store with my little packing slip to get my money back. This gets tricky with an online only retailer. The worst is a certain superstore that shall remain nameless. It’s not the actual retailer but the third party suppliers that it partners with that often provide insufficient information, such as the address, to return easily. With rickety book case, it was heavy and I honestly didn’t want to lift it. So I still have it and frown at it when I walk buy it. I finally got rid of the comforter, only to buy another online that I was lukewarm about it. I need to do better. I really only buy items online that are proven acceptable: cosmetics, skincare, or things too heavy to lift. That’s what evil deliverymen are for, despite their grousing. Now I just remember to kick the tires first. If there is no ability to test, it doesn’t get purchased. Unless of course, you would like a gently used bookcase… Then, I think that would be swell. Everyone has their own addiction and my addiction has always been getting a good deal. I just paid full price for a purse because my sale purse was defective. This was not a good day for me. I haven’t paid asking price for a retail item in about never. I always prized quantity over quality. This was exemplified even in childhood. My cousin and I would go to the candy store a few times a week. Each of our mothers gave us a dollar. My cousin, the spendthrift, would buy two things that always seemed to be more than a dollar. While I would rack up on multiple inexpensive items: Now or Laters, Pixie Stix, pop rings, Blow pops, Lemonheads and Bazooka Joes. And I always had money to give to my cousin so she could buy the good candy: candy bracelets, Snickers, Reese’s Cups. Those items were 55 cents a piece and so not worth it. I tried to convince her to only buy one candy bar and a bunch of small items, but she rarely did. This continued into my adult life. I own entire outfits (okay some of these outfits just consist of dresses, which is actually my favorite kind of outfit) that cost less than my beloved luxury lip gloss. Hey, I am not tremendously cheap. That lip gloss costs between $25 and 30 dollars, depending on the brand. However, lately I feel my dealers, I mean suppliers, umm, retailers are failing me. Last Friday, I received a mailer advertising a free tote with purchase! A free tote! I worked conferences and conventions for three years: I own plenty of free totes. I own so many totes that I give them away to needy people struggling to carry multiple items. I need these retailers to advance their efforts, if they plan to keep me on the roster. 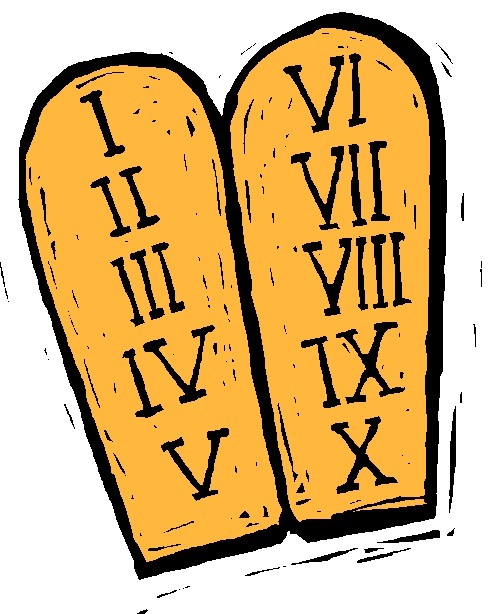 Therefore, I am issuing Ten Crack Commandments for retailers to maintain my business. You will thank me for it later. Here are the first two. 1. Thou Shall Not Notify Me of Nonsense. Seriously. One evil retailer that will not be named toyed with my sanity by sending three – four emails a day reminding me that it is Christmas and kids like presents. I couldn’t shake them. I blocked them, but they kept changing their email address slightly. I did the remove me from your list button click. Finally, I just boycott them. I haven’t purchased anything from them since this unfortunate onslaught of messages. 2. Correspondence Shall Only Include Coupons. Yes, only real, substantial coupons, worth 30% off or more. I will make exceptions to emails and letters alerting me to sales where the entire store is 30% off or more. A sale, however, only meets this threshold at 30% and nothing lower, unless it is a luxury brand or a retailer that only has biannual sales. My skincare company does two coupons a year: one at 20% off and one for $20 off a $75 purchase. This is a big deal. This does count. Plus, retailers should understand that I am great at math. Giving me a $15 off a $75 purchase is only a 20% discount. Therefore, this doesn’t count. I will not have my time wasted with deleting your email. Just don’t send it in the first place.